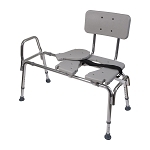 The Invacare Heavy Duty Transfer Bench offers a sturdy, durable one-piece blow molded seat with drain holes. This transfer bench seat also includes a soap dish and hand-held shower holder. The tool-less removable backrest is ergonomically shaped and reversible for right or left transfers. Transfer bench has a 400 lbs weight capacity. 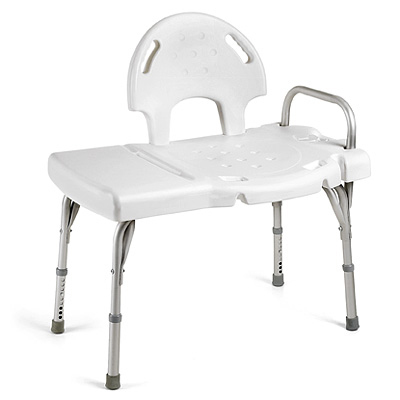 Additional features include an arm rail for support while bathing and transferring in and out of the bath tub and non-marring, non-slip rubber tips. 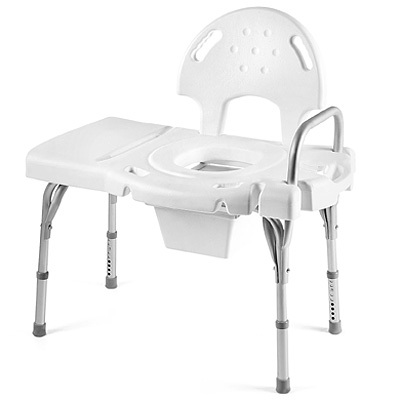 Purchase unassembled, assembled, or with commode.